The House of Commons is voting Tuesday on amendments to the Brexit deal. In total, there are 14 possible amendments on the issue; however, it is up to Parliamentary speaker John Bercow which of them will be put to the vote. The UK government had to present a new plan to MPs after the Parliament rejected May's Brexit deal earlier this month by a historic margin of 432 to 202. While the amendments, introduced by the Conservatives, concern the Irish backstop issue, the opposition is urging the prime minister to extend the Brexit deadline from 29 March to 31 December. There are also amendments that suggest giving the Parliament a chance to vote on various Brexit options and rule out a no-deal scenario for London. The EU's position on the Brexit withdrawal deal, including the Irish backstop, has not changed and the agreement is not open for renegotiation, Ireland's government said in a statement on Tuesday, cited by Reuters. A change in London's red lines could lead to a change in the political declaration on the future relationship UK-EU relationship that accompanies the withdrawal treaty, and a better overall outcome, the statement said. European Council President Donald Tusk said the EU-UK divorce deal was not up for renegotiation. "The Withdrawal agreement is and remains the best and only way to ensure an orderly withdrawal of the United Kingdom from the European Union", Tusk's spokesman said Tuesday, cited by Reuters, after UK House of Commons voted Tuesday to replace the Irish backstop border agreement contained in it with unspecified "alternative arrangements." "The backstop is part of the Withdrawal Agreement, and the Withdrawal Agreement is not open for renegotiation", Tusk's spokesman said. UK Prime Minister's spokesman said on Tuesday after a vote demanding changes to the current Brexit deal that the UK parliament has sent a clear message to Brussels on what it will take to get a Brexit deal approved. "Tonight parliament has sent a clear message that there is a way forward to secure this deal if we are able to secure changes in relation to the backstop", the spokesman said as quoted by Reuters. "The EU's position remains that they want the United Kingdom to leave with a deal. They want the UK to leave with a deal because it's in their interests as well as those of the UK", the spokesman added. British lawmakers accepted (317 votes to 301) a proposal which calls on the UK government to replace the Northern Irish backstop with alternative arrangements. The UK lawmakers voted 318 to 310 in favor of a proposal calling on the UK government to rule out leaving the European Union without a deal. The so-called "Spelman amendment I" rejects the UK leaving the EU without a wthdrawal agreement and a framework for the future Relationship. 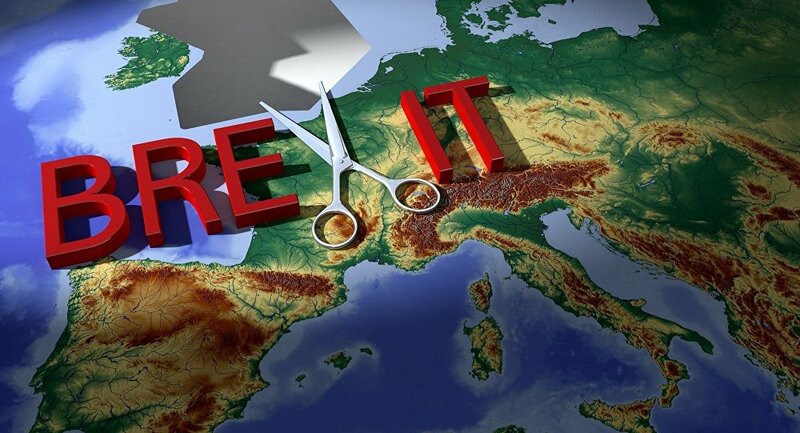 The UK lawmakers voted 322 to 290 against the non-binding proposal to delay Brexit put forward by the opposition Labour lawmaker Rachel Reeves. The lawmakers voted 321 to 298 against the proposal put forward by Labour lawmaker Yvette Cooper, which could have given the UK parliament the power to delay Brexit. The UK lawmakers voted against, 321 votes to 301, a proposal which sought to hand parliament more control over Brexit by paving the way for the chamber to consider alternatives to UK Prime Minister's deal with the EU. The UK lawmakers voted against a proposal put forward by the Scottish National Party which called for the government to delay the 29 March Brexit date and rule out a no-deal exit. The amendment O, which also demanded that Scotland should not be taken out of the bloc against its will, was rejected by 327 votes to 39. British lawmakers voted 327 to 296 against a proposal which called for parliament to consider alternative options to prevent Britain leaving the EU without a deal. The proposal, put forward by the opposition Labour Party, was opposed by UK Prime Minister Theresa May. "We will not reopen the Withdrawal Agreement. So it may be about the semantics of what 'reopening' means. If things go towards more declarations, assurances or statements - we can do that. But if she really wants to reopen the whole thing, then it's a 'no'", an anonymous diplomat told Reuters. "Today we have the chance to show the European Union what it will take to get a deal through this House of Commons, what it will take to move beyond the confusion and division and uncertainty that now hangs over us... I also accept that this House does not want the deal I put before it, in the form that it currently exists. The vote was decisive and I listened. So the world knows what this House does not want. Today we need to send an emphatic message about what we do want", the UK Prime Minister told parliament. According to Speaker of the House of Commons John Bercow, MPs will begin voting on the amendments at 7:00 PM GMT. Bercow selected Amendment A, proposed by Labour leader Jeremy Corbyn, which urges MPs to consider a number of variants that could help avoid a no-deal scenario, including a customs union with Brussels. Amendment O by the Scottish National Party and Plaid Cymru urges for the Brexit deadline to be postponed and for a no-deal option to be removed. Amendment G, proposed by Conservative lawmaker Dominic Grieve, wants the parliament to get more control over Brexit debates in the Commons in order to set up several indicative votes, whose results would be non-binding. The speaker chose Amendment B, proposed by Labour MP Yvette Cooper, which, if passed, would grant the parliament an opportunity to debate a bill that could force the government to extend Brexit deadline until the end of 2019, if Prime Minister Theresa May failed to secure the lawmakers' approval for her deal by February 26. Amendment J urges the government to postpone Brexit deadline if a deal is not backed by the parliament by February 26. Amendment I wants a no-deal Brexit ruled out. The lawmakers will also vote on Amendment N which wants alternative solutions to replace the Irish border backstop in the withdrawal deal.